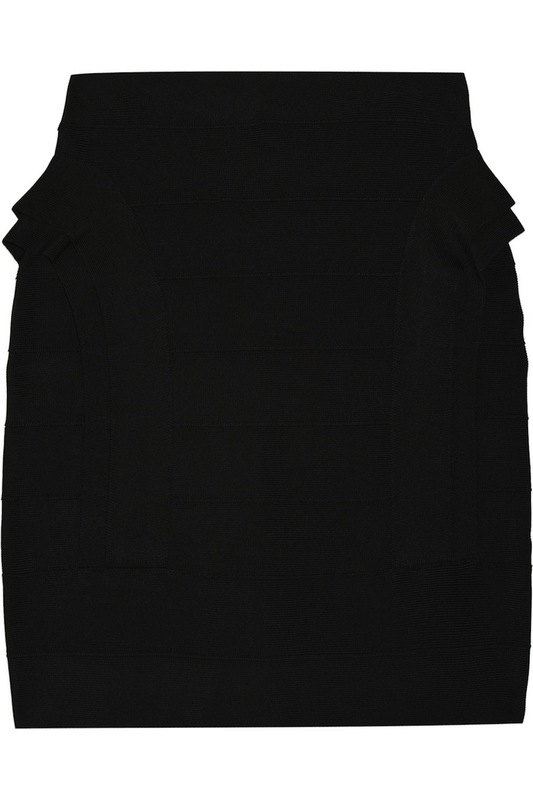 Black bandage mini skirt with layered panel detail at sides. This skirt has a concealed hook and zip fastening through back. 90% rayon, 9% nylon, 1% spandex. Dry clean.